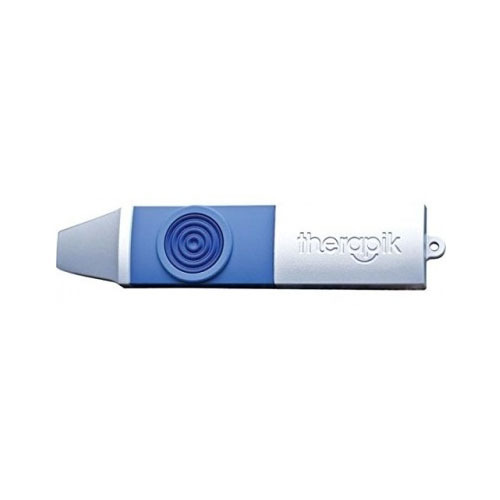 Therapik Insect stings and Bites Itch and Pain Relief Device. This bite reliever is a handheld device that creates a soothing heat that, when applied to the affected area, relieves pain and itch from insect bites and stings. Use for immediate relief. Therapik® Pain Relief Device is based on a very simple, scientifically proven principle. Most insect venom is thermolabile (sensitive to heat). Therapik®'s patented technology delivers heat in the specific temperature range necessary to neutralize the venom from over 20,000 different species of insects and sea creatures. The heat is initiated by use of a simple, non-locking, finger or thumb activated on/off switch. Heat is produced as long as the switch is depressed; when pressure on the switch is released, the circuit is interrupted and heat is no longer produced. The Therapik® mosquito bite relievers help provide instant relief from the pain and itch experienced from mosquito bites, bee stings, fire ants, jellyfish stings, and bites from up to 20,000 other species of insects. Requires one 9V Battery (Not Included). Drug-free relief in as little as 30 seconds. This effectively raises the temperature of the tissue up to 2mm beneath the skin to 50°C to 60°C, which is the temperature, required to destroy the effect of thermolabile venoms. Dimension: 3cm x 3cm x 10cm.